Yay! First Taiwanese artist on the site, the adorable R&B singer Xiao Yu. Xiao Yu is like a super artist. He can rap, sing, writes for other artists and he’s good looking. In 2003, he was studying while he joined a production team and worked on vocal arrangements, backing vocals and rap for artistes like: Andy Hui, Elva Hsu, Awaking, Alex Toh, Vivian Hsu, Vicki Zhao, Kenji Wu, Nicholas Tse, Twins, i.n.g, Joey Yung, Jiang Mei Qi, Danson Tang etc. 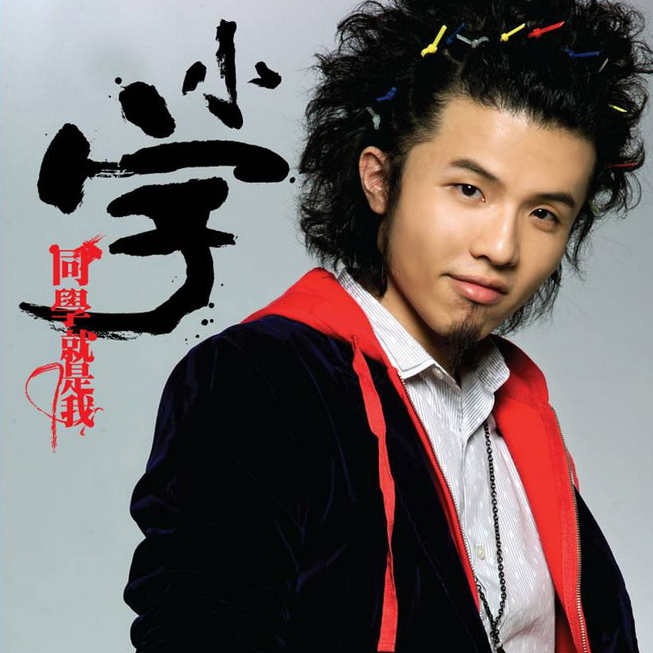 Finally Xiao Yu released his solo album Classmate Xiao Yu, That’s Me on January 18,2008. From his crazy hair, to his souful voice, Xiao Yu’s debut album does not disappoint. He collaborates with mentor Chen Wei and lyricist Yu Guang Zhong and Huang Wen Hsuan. The album opens with 痴妹与王两 [Silly Sister And Wang Liang], a short rap in the intro from Xiao Yu and then his singing. I don’t really like the rapping from his because his voice sounded very nasal. 没那么难 Not So Difficult] starts off with violin over a mid-tempo beat. Xiap’s voice sounds wonderful but the song is boring. 没有很会唱 Can’t Sing That Well has all the elements of a good song: catchy lyrics, infectious beat complimented with a voice that can sing. How contradictory of him! He can obviously sing and better than just ‘well’. Towards the ends he raps a little. The one thing I don’t like about the song is how abrupt the ending is. 寂寞射手[Lonely Shooter] starts off with what sounds like a recording session. I’m not digging the high pitch he sings in the whole song.终于说出口[Finally Said It Out Loud] is a beautiful ballad with guitar and violins I like the fact that he’s not screaming the entire song and the rifts are left to a minimum. 就是说不出口 [Can’t Say It Out Loud] starts off with some strums on a guitar. I like the way they ordered the tracks to make this after ‘Finally’. It’s melodic and makes me feel happy. I Can’t Stop starts with techno beats and talking, More rifts, but it doesn’t have a climax. 舍不得 [Grudge] is a mid-tempo song and I really love the harmonizing in the intro. 我在角落观察ABC [Observing ABC In The Corner] has a more contemporary R&B sound with the claps and vocal acrobatics. 偶霉敢结[Daring To Court Bad Luck] more rapping the song has character and is a ball of fun with the scratches throughout.唯一的唯一[The Only One] starts off with a beautiful piano, but other than that it’s has a generic sound. 喔原来是这样[Oh, So That’s What Happened] )I love the violin along with the call-and-response. The way he sings the chorus is pretty addictive. The album finishes with 还简单的多 [A Lot Easier] piano based ballad. Overall, this was a really fun album that had a lot of personality. Xiao showed off his voice and personality for that I give him 4/5.